Reduce burner to low heat. Cook for 25 minutes, stirring occasionally. Turn off heat and remove bay leaf. 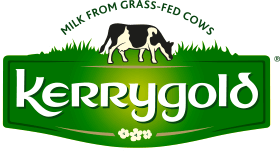 Whisk in 1 cup each of the Kerrygold Cheddar and Swiss Cheeses, until incorporated. Season with salt, pepper and nutmeg. In large bowl, combine pasta and cheese sauce. Spoon into 2 ½-quart casserole dish. Combine remaining cheese. 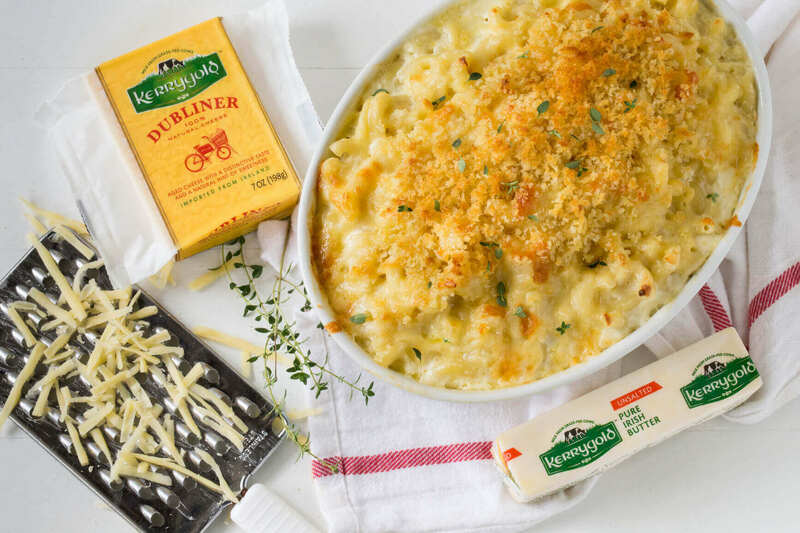 Top with grated Dubliner®, thyme or other chopped herb, and a small handful of breadcrumbs. Bake at 375° F for 8 to 10 minutes.